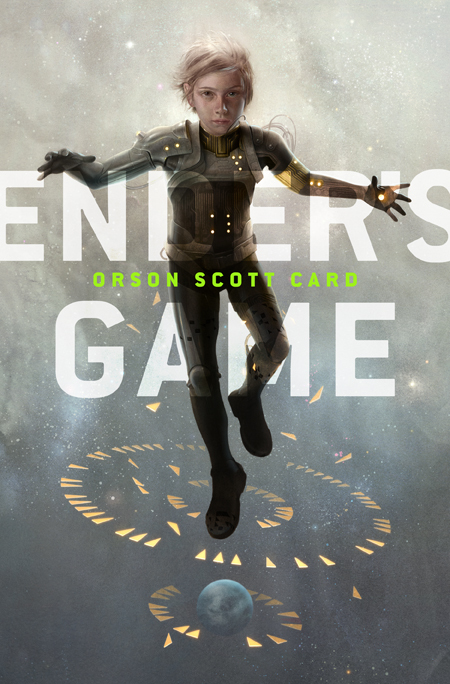 This cover by Sam Weber for Ender's Game is one of my most favorite illustrations ever - which is really saying something considering I don't particularly like Ender's Game. 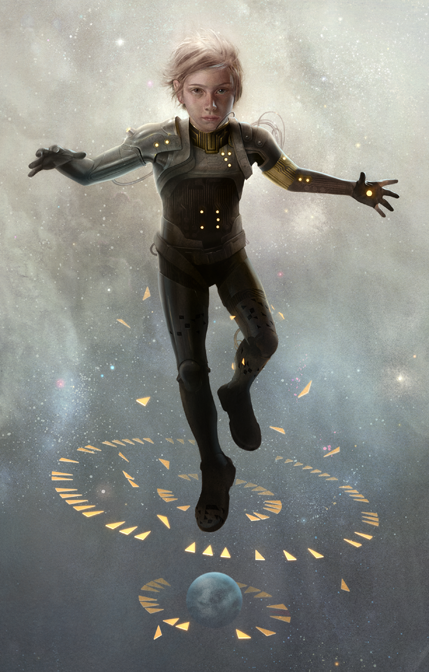 However, I can still appreciate how perfectly this illustration depicts the overall emotional intensity and sci-fi setting of the book. Also great is the unconventional design of the cover, designed by Jamie Stafford-Hill. Both the title and the author's name are in the center. The neon green text seems to float above the scene, emphasizing the three-dimensional space. 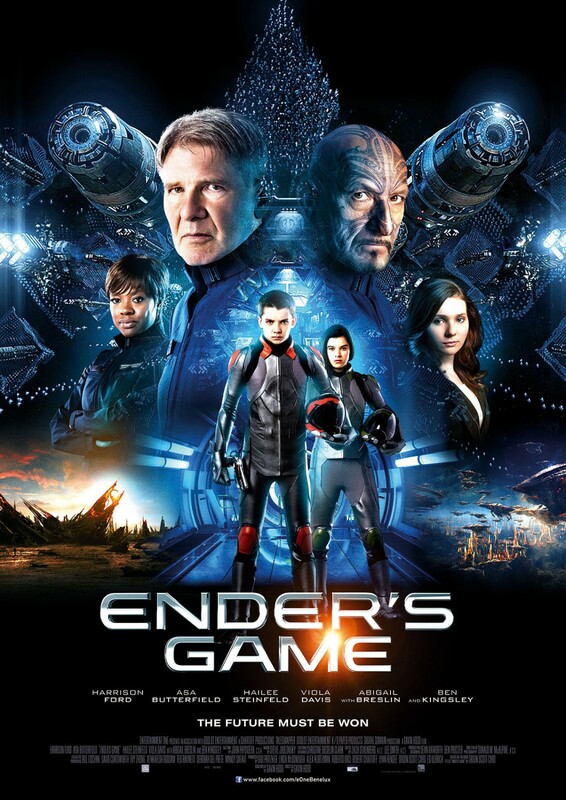 Now look at this poster for the movie version of Ender's Game. It has everything. Six characters, a post-apocalyptic landscape, an alien planet landscape, a massive fleet of shiny, shiny spaceships. This poster tells us that we can expect an epic sfi-fi action movie with plenty of space battles. It's not a bad poster - in fact I think the designer did a great job of making all those elements fit together as a cohesive whole. He or she was probably working under a lot of restrictions. But does the poster really say anything unique? Does it have any emotional appeal? The only thing that separates it from any other sci-fi action movie poster is the presence of the two kids in space suits - who are dwarfed by the giant heads of Harrison Ford and Ben Kingsley. It's even orange and blue. There's even a lens flare. It has more things but it's not better. Why is the book cover, rather than the movie poster, so powerful? Because the team that worked on it chose simplicity and creativity. Interesting incites. Honestly the poster looks heavily over weighted on the top. Overall, it IS too congested and distracting...man those ships are really distracting.